Congratulations to Kelly Alderman who won our monthly drawing for August 2011. Kelly is using our cards to promote her cash gifting program. 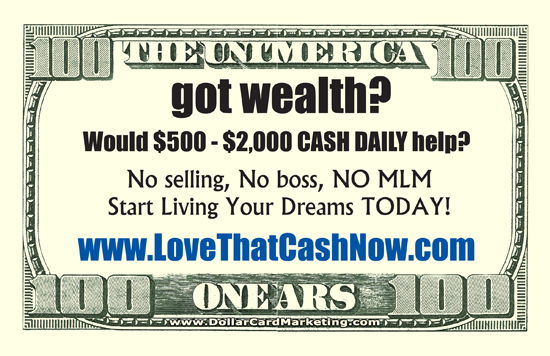 We have created thousands of cash gifting cards for a lot of different programs. So, they must be working! Good luck Kelly!